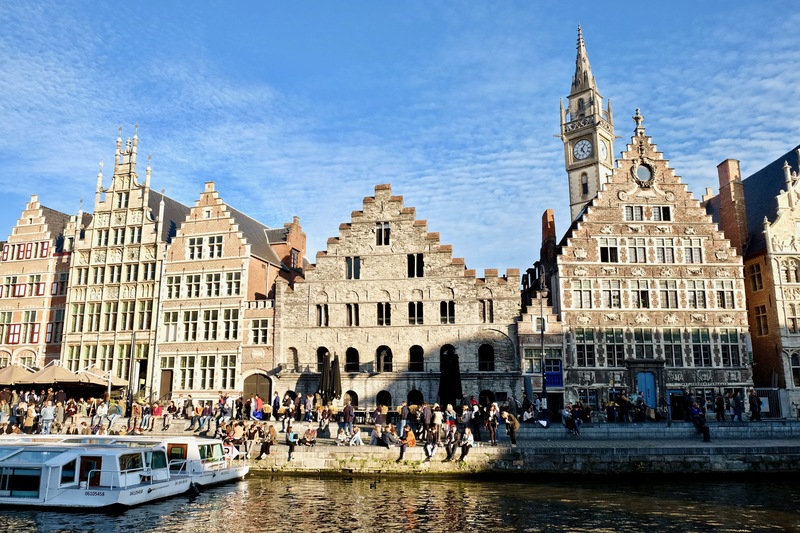 We live Ghent, Belgium – a city that begs to be walked and taken in from the ground up. 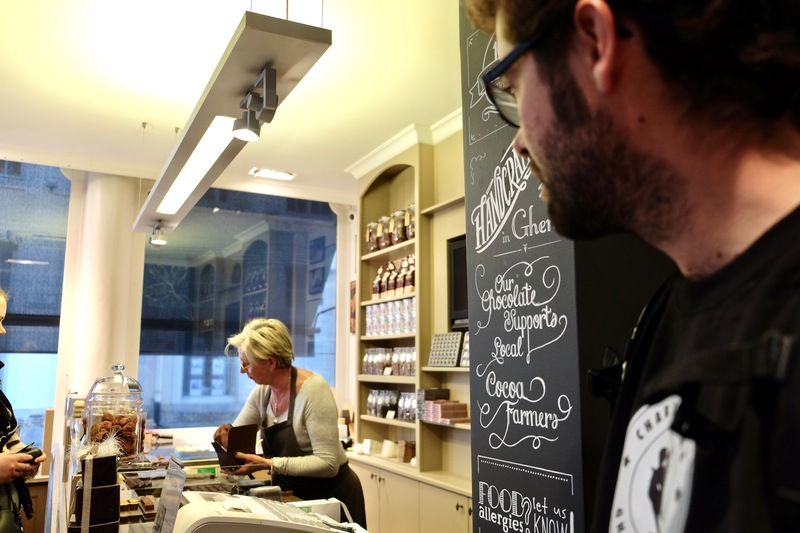 Its medieval cityscape oozes history, especially chocolate-making history. 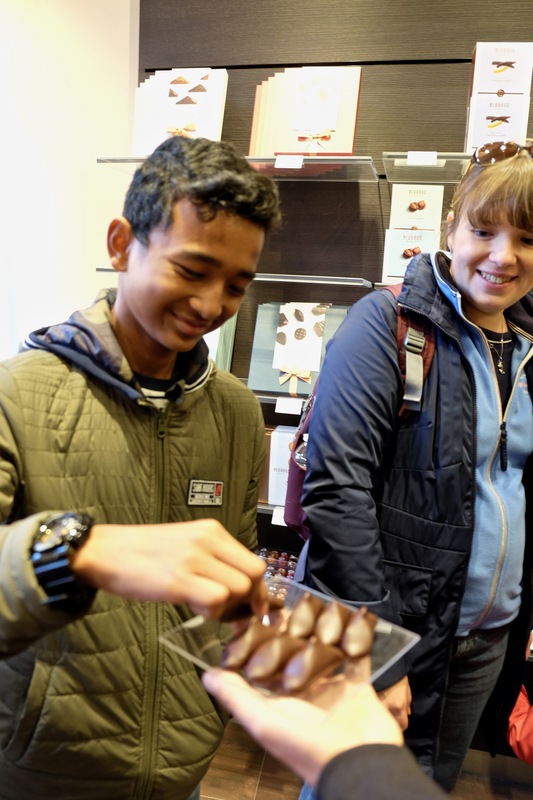 I wanted to get a taste of its fascinating chocolate making roots, so I was thrilled that Charlie Tours invited me to join them on a sunny afternoon in October. 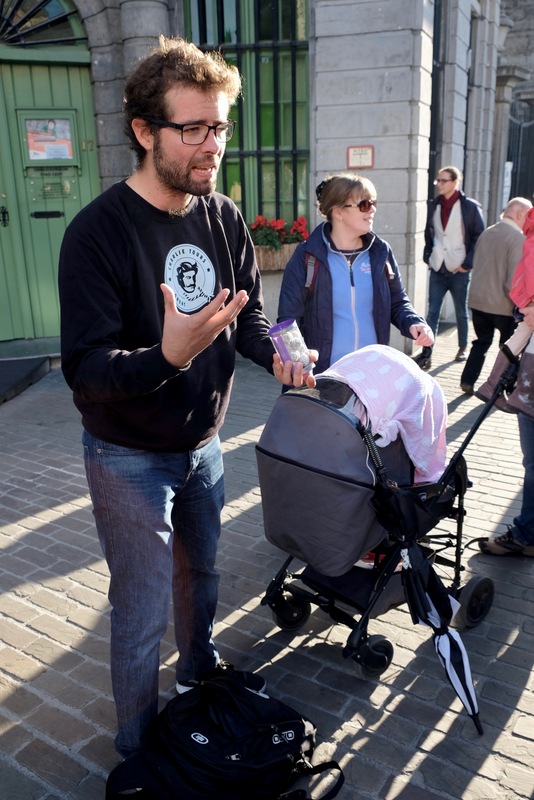 Started earlier this year, Charlie Tours was launched by Ghent-born Nick Vandecasteele and former co-owner of RestBAR Charlie. 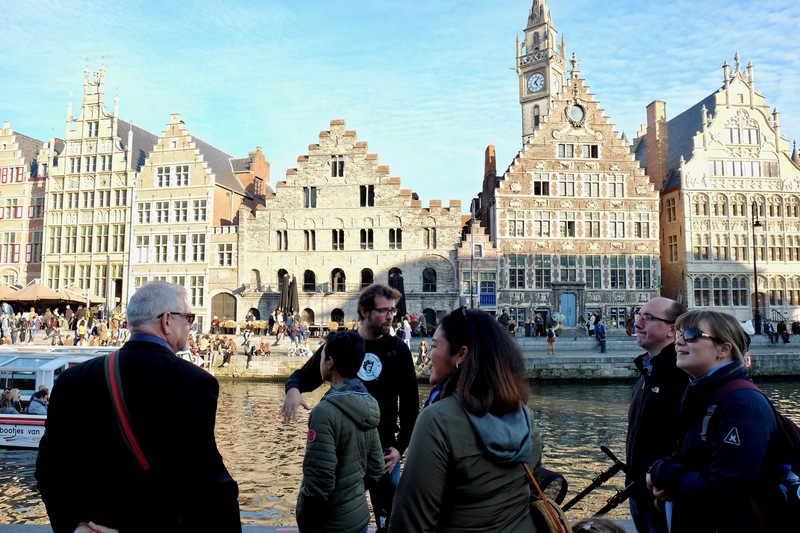 His tour company promises a variety of tasty and educational experiences around Ghent; experiences like beer tasting, chocolate tasting, and even private or customizable tours. 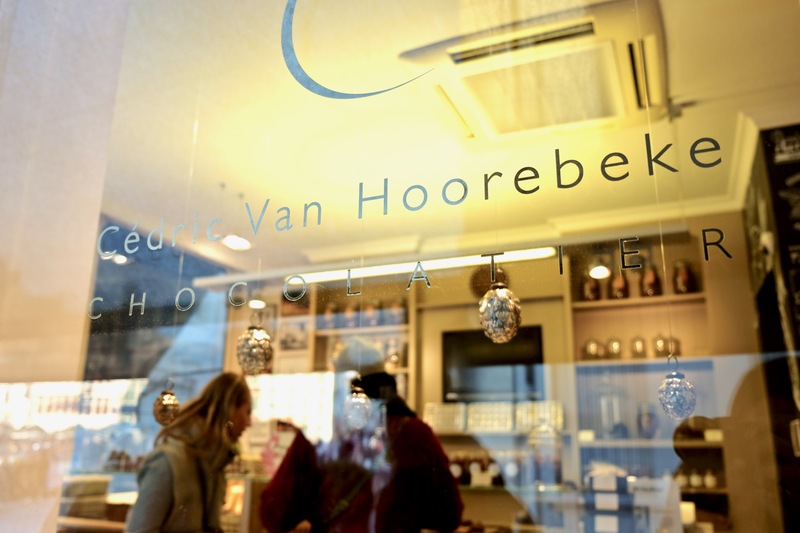 The chocolate tours happen every Wednesday and Saturday from 4pm to 6pm, starting at Kouter and winding through the cities’ small streets and cozy chocolate shops. This particular Saturday, we lucked out with great weather and an intimately sized group of French, American, Indonesian, and Belgian tourists who were up for feasting on sweets. Nick is an engaging and enthusiastic storyteller, and he encouraged conversation and interaction from the start. 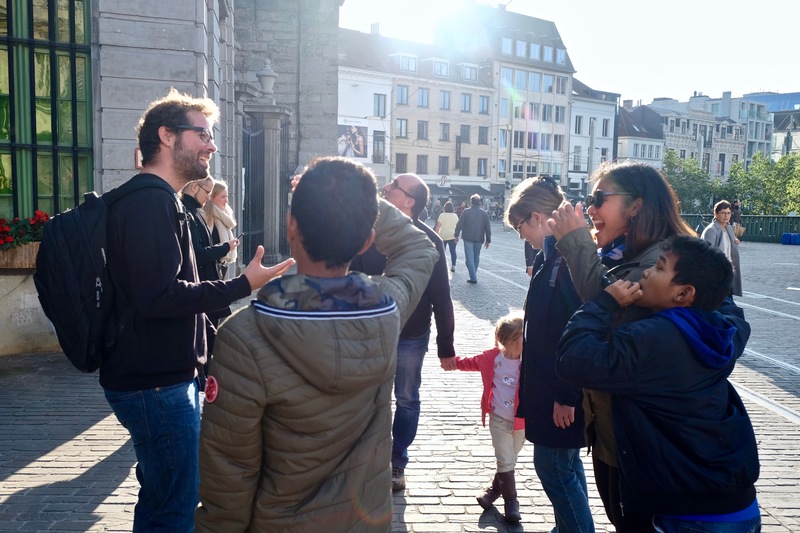 He felt out how much our group already knew about chocolate and used Ghent as a backdrop to reveal interesting chocolate tidbits along the way. After all, there’s a lot to cover since chocolate history dates back almost 400 years in Belgium! The tour never stands still for too long, and as you take in the scenery, Nick uncovers sides and stories to this charming city that aren’t only dessert related. During the tour, we visited and tatsted at seven sweet stops, ranging from more commercial to locally off-the-beaten-path shops. We tried an assortment of chocolate types, some that he brought along with him and some straight from the chocolate case. Ruby chocolate, truffles, salted caramel, pralines, dark chocolate with passion fruit, matcha chocolate, and so much more. My personal favorite was the salted caramel chocolate from Daskalidès. Mmmm! I would truly recommend the experience whether you’re a local or tourist passing through for a day or two. The tour is a great afternoon outing if you love eating sweets and hearing about history. I’ve lived in Ghent for two years and I still learned something! 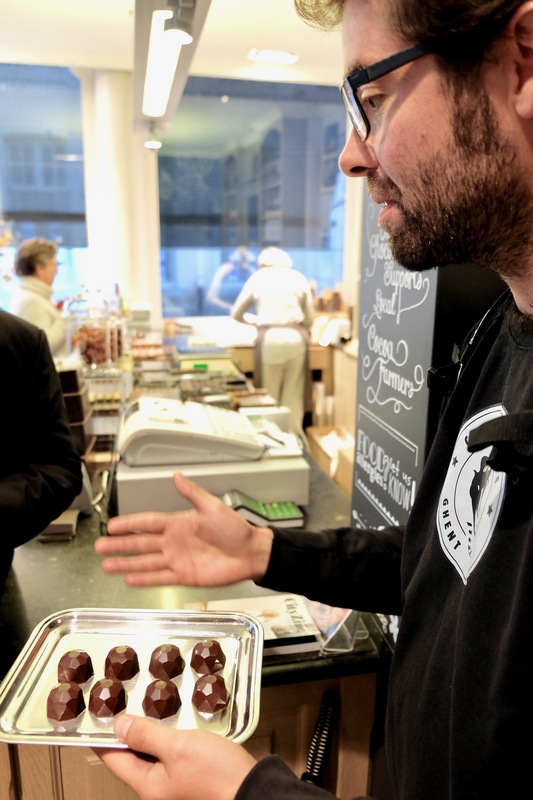 I walked away with happy taste buds and more knowledge about the range of chocolate brands in Belgium and its more locally owned artisanal chocolate makers as well. For the price, this tour is a total steal. I was kindly invited to join Charlie Chocolate tours. All opinions are my own.